Georgina Thomas is Textiles Manager at the Soil Association, working with the fashion and textile industry to develop the market for organic textiles. Georgina started her career in sustainable fashion at the People Tree Japan office, working on design and producer relations, so it’s a real treat to have Georgina back as a guest blogger. She will tell you about the Soil Association’s new Cottoned On campaign. Georgina Thomas: I’ve stood in cotton fields in India, yet the idea that the clothes I wear come from a farm still feels abstract to me. Cotton can be a toxic crop and its production can have damaging effects on the environment and the people who grow it. Cotton production is infamous for causing water pollution, pesticide poisoning and trapping farmers in the vice-like grip of GM companies. One single GM company, Monsanto, now controls a staggering 95% of cotton seed in India. Organic cotton production never uses GM seeds so farmers can be independent of GM companies. Organic cotton is a rotational crop, enabling farmers to grow and sell food to feed their families and promote organic food locally! Organic cotton doesn’t use dangerous pesticides, protecting farmers’ lives and the environment. Organic cotton uses less water, saving this precious natural resource for the future. Organic cotton farming uses less energy, plus healthy organic soil stores more carbon reducing the release of CO2. Organic cotton farmers around the world have shown cotton farmed in the right way can be good for people and the planet. Now it’s time for us as consumers to show that we can support them today and in the future. As pioneers in sustainable fashion, People Tree were amongst the first to support organic cotton farmers and provide us with sustainable fashion options. They have even introduced us to the organic farmers who grow their cotton through their inspiring videos. If we all Cotton On to organic, we can really begin to change cotton production methods and the fashion industry. 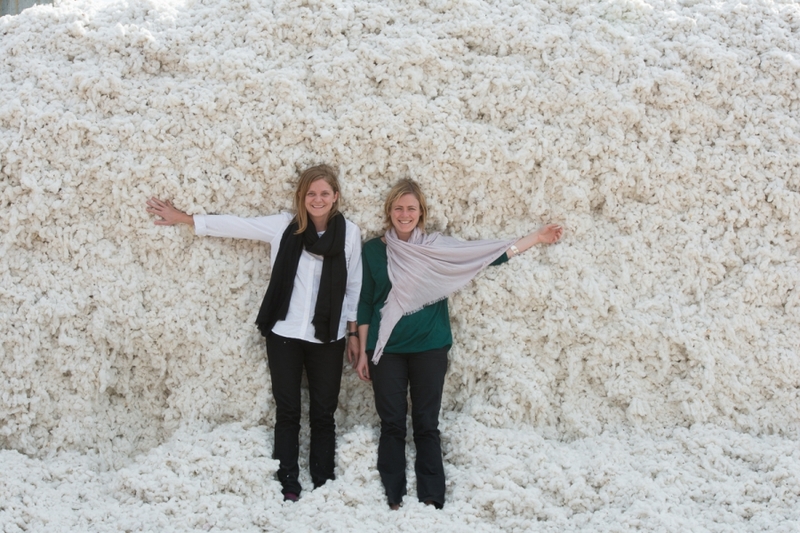 Join us in celebrating sustainable fashion on Earth Day by cottoning on today! Click here to show your support and tell the world you’ve cottoned on. Everyone who joins the Cottoned On campaign on or before midnight on Monday 22 April – Earth Day – will be entered for a chance to win a beautiful organic cotton dress from People Tree and will receive a voucher worth £15 off a purchase of £50 or more. Read all the details on the Cottoned On campaign webpage. Shop organic cotton dresses at People Tree.